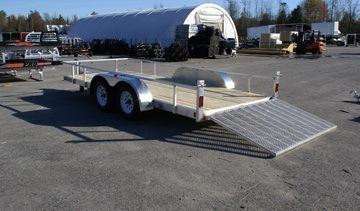 Mission Trailers makes 14 aluminum landscape and utility trailer models. Choose between a wood deck or aluminum deck. Trailer length is available up to 12 ft. and there are other trailer options to choose from. PT Decking Boards - 1.25 in. Safety Chains - 15000 lb.